The British Egyptian Society supported two specialists from the Egyptian Ministry of Antiquities to complete a month research visit to use the collections and library of the Department of Ancient Egypt and Sudan at the British Museum during summer of 2016. Dr Shaimma Magdy and Dr Hisham el-Leithy describe their publishable research during their fellowship at The British Museum. 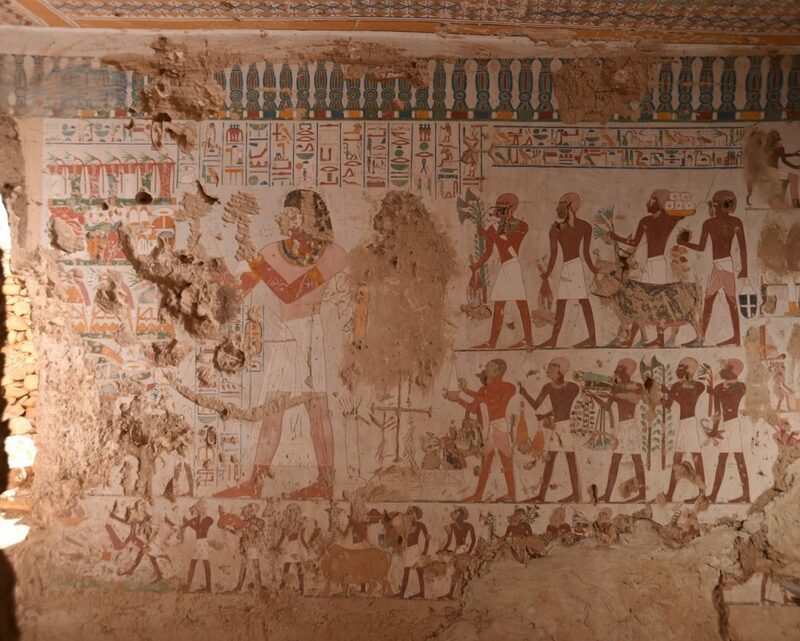 The tomb of Paser, Theban Tomb 367, is located in the necropolis of Sheikh Abdul Qurna on the West Bank opposite Luxor. It was known to the Egyptologists who worked in the Theban necropolis in the 19th century such as Wilkinson, Lepsius, Piehl and others – these scholars entered the tomb and left descriptions of some scenes. In 1934, Ahmed Fakhry rediscovered the tomb and cleaned its chapel, but did not publish the texts and drawings. In 2016, I begin to complete Ahmed Fakhry’s work through my PhD dissertation at Cairo University, entitled The tomb of Paser no.367 at the necropolis of Sheikh Abdel Qurna. As part of this research, I am making architectural plans, analysing the tomb scenes, translating and transliterating the hieroglyphic and Coptic texts, and comparing the tomb and its decoration to other Theban tombs of this period. Paser was a war man who lived in the region of Amenophis II. He carried many important military titles such as “head of bowmen” and “captain of troops”, but also some titles associated with the royal palace like “child of the nursery”. Paser was married to a lady called Bakt who was buried with him in his tomb and is represented with him several times on the walls. crosses attest to the occupation of the tomb at a later date. The British Egyptian Society scholarship has allowed me to advance my study of the scenes, through researching publications on other tombs. 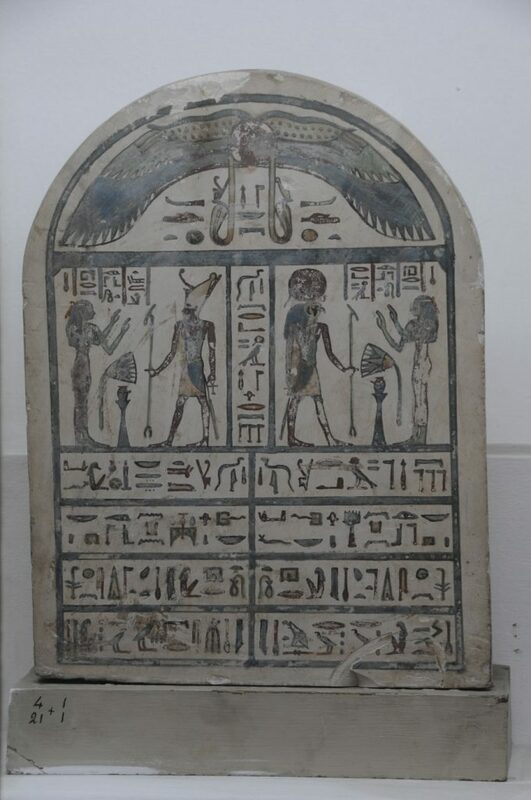 My research scholarship to London allowed me to author a scholarly article on an unusual limestone stela from the Egyptian Museum in Cairo (TR 4.1.21.1, SR 5/10603), which has been dated to the 26th Dynasty. The stela shows the lady Ta-waher adoring Harmakhis on right and Atum on left; it is finely painted and 37cm in height. Through comparison with Theban wooden stelae from the same period, I have been able to date the monument and propose its original provenance. In Peter Munro’s classification of stelae (1973), it was placed in the “Edfu I” group and dated the stela to 620-570 B.C. However, the Egyptian Museum database by means of a stylistic and textual comparison with other limestone and wooden stelae, through literature research in the Department of Ancient Egypt and Sudan at The British Museum – and especially through information in the inscriptions on a coffin lid in New York (MMA 86.1.30), I have now established that the stela was made at Thebes (modern Luxor) in the 26th Dynasty (664-525 BC).